No one likes seeing dirt and grime and the sight of these things can be enough to change someone’s mood. 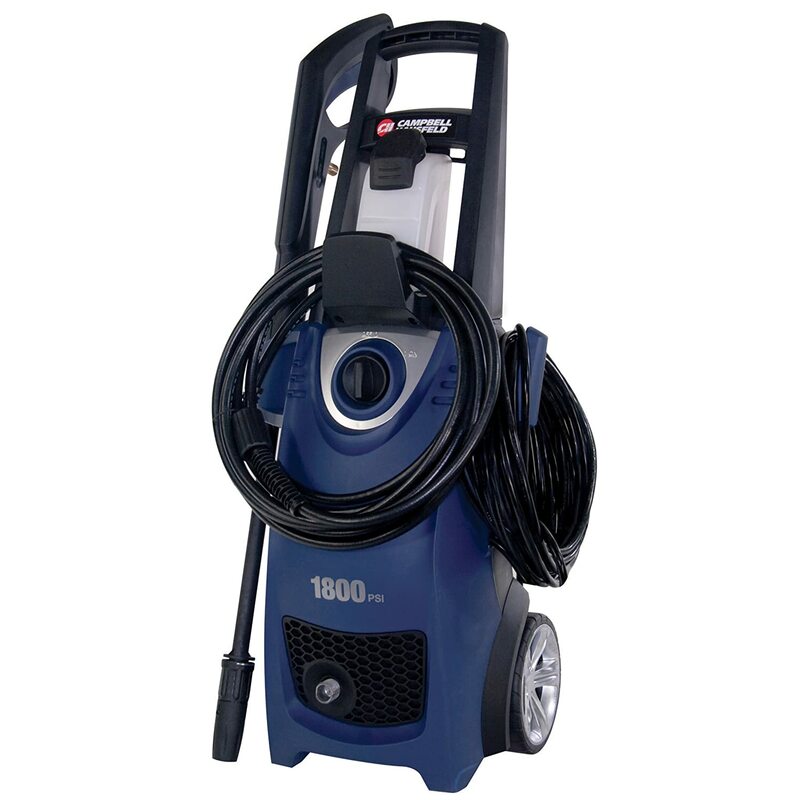 Pressure washers are great for cleaning up the sides of buildings and are also used to clean concrete surfaces like a sidewalk or driveway and can also be used when cleaning different vehicles. This kind of tool is sometimes necessary when you want to deep clean a certain area with really tough dirt, grime, mold or whatever else is on it. Simply put, a good pressure washer is powerful but easy to use and affordable. If you’re in the market for one of these awesome machines, then you should take a look at the following models to see which of these would give you the biggest bang for your buck. 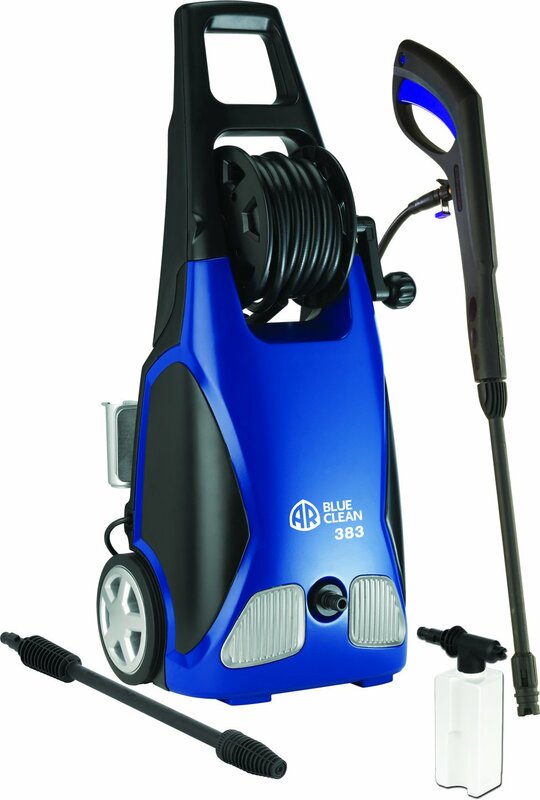 This is a pressure washer that comes in a sleek blue design that looks good and is functional as well. It blasts out water at 1,900 pounds of pressure per square inch at 1.5 gallons per minute using a ﻿special kind of piston pump called an axial﻿.﻿ ﻿It features the Total Stop System which means that the power to the wash is controlled by the trigger gun. As previously mentioned, its design is functional and one such feature of this is the hose wheel with special crank you can use your hand to wind up and secure the hose neatly wound up and out of the way. Speaking of the hose, it comes out to around 20 feet long which allows you to move around with ease. It also has a 30 foot long power cord so that you won’t have to make a fuss over working near an electrical socket. This is a great item that has features you would normally find on an industrial grade pressure washer which is why it has an average rating of 4 stars on Amazon. 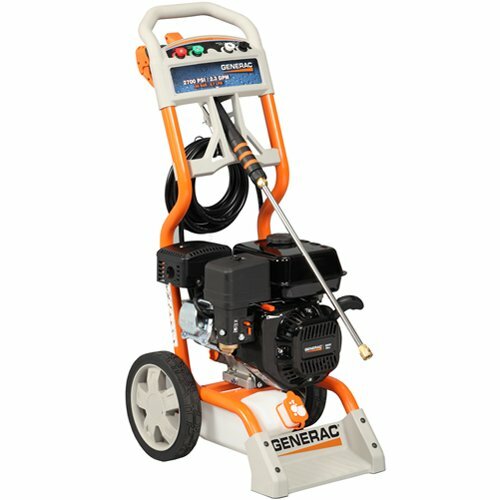 If you’re looking for something with a lot more power, then you should think about getting this pressure washer from Generac. This pressure washer busts out water at 2,700 pounds per square inch of pressure and makes use of up to 2.3 gallons per minute using its 196cc Generac OHV engine. It is an easy machine to use with a comfortable grip on its spray gun and has an easy-to-pull trigger so that you won’t strain your arm. And if you’re sick of having to reach all the way down to connect your hose, then this would be a great choice because it has an easy access axial cam pump that is located in a very convenient spot. This pressure washer from Campbell Hausfeld is also visually pleasing although its design cannot really compete with AR Blue Clean AR383 but is still quite good nonetheless. This is the least powerful of the three but not by much at 1,800 pounds of pressure per square inch and 1.5 gallons per minute. It is quick and easy to use with its instant Start/Stop feature so that you won’t have to waste time when you need to clean something up. It has a swivel hose adapter for any of you who might find this necessary. Its 20 foot hose comes with some attachments to suit your different cleaning needs and it also has onboard storage that you can use. Having a pressure washer around the house can be a great investment for your money. They help restore surfaces like tile roofs and cement driveways to almost new condition. 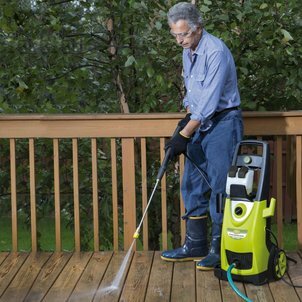 Not included in this review, but still a good brand of pressure washer is the Simpson. If you are looking for a great outdoor tool, then consider one of the products reviewed above.